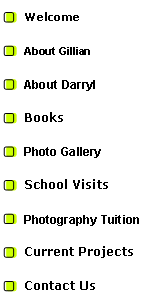 "Destination Southern Lakes, New Zealand for children by freelance photographer Darryl Torckler and writer Gillian Torckler." An unbiased book for people travelling to the southern tourist location of Fiordland and Queenstown. This area is rich in Maori history; was a lucrative gold mining area; and today is the most visited location in New Zealand. The book combines historical information—both fact and mythical—with interesting facts from the area. It highlights the most interesting activities for kids of all ages. There are Maori legends, background information for overseas tourists experiencing New Zealand for the first time and much more. All of the text, which is written specifically with the younger reader in mind, is supported by fun and colourful pictures. Use it to prepare for a trip, or to support your next family holiday in this picturesque part of New Zealand. Once we had children, we realised that the information and tourist books for families are very limited. It was almost impossible to find a single source of information that was unbiased—most of what we found was prepared by the companies themselves! Or they paid for ads in other publications. Even in New Zealand's most visited tourist destination. We took our children and tested all of the adventures we could find. 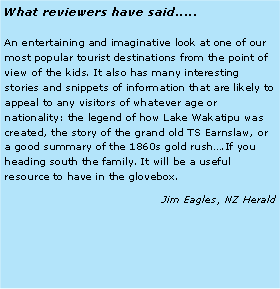 We explored the Maori legends about the forming of the waterways of Fiordland and Southern Lakes district. We learnt about the rich history that includes gold miners, thieves and warriors. Along the way, we took lots of photos of the scenery and people enjoying this magical holiday location.